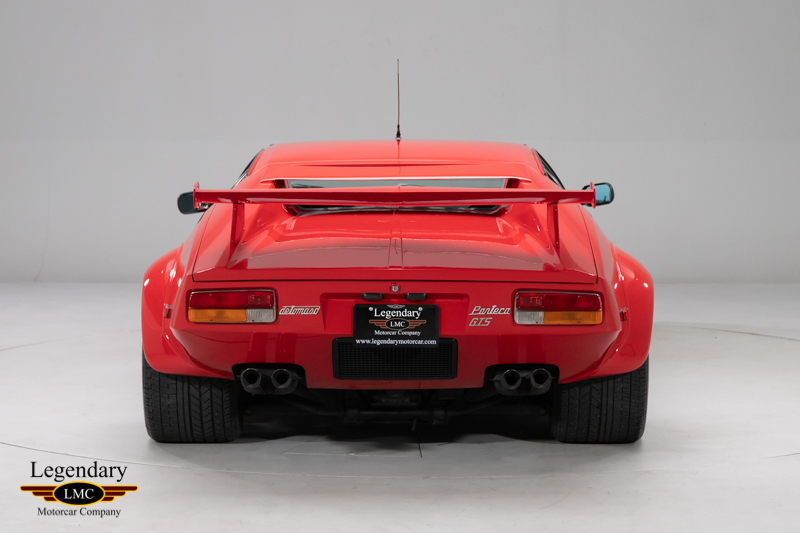 Click any thumbnail below to display the 1985 De Tomaso Pantera GT5 slide show. 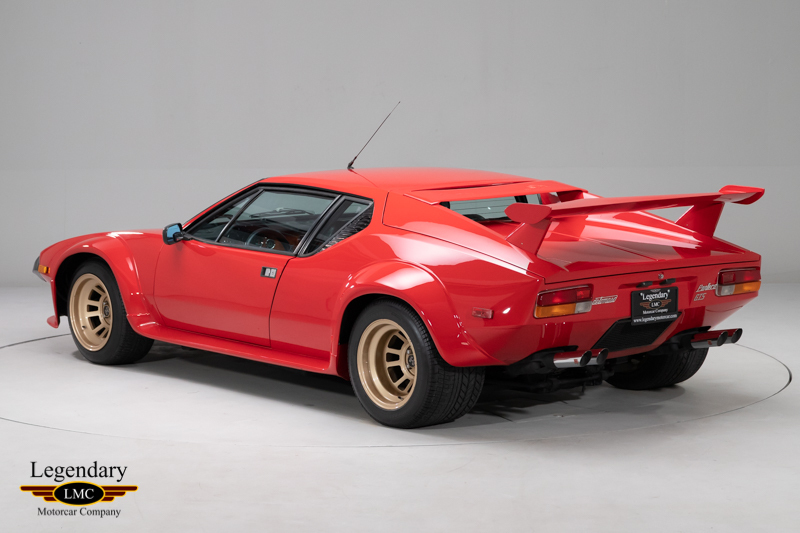 As one of the world’s first true supercars, the De Tomaso Pantera needs little introduction. 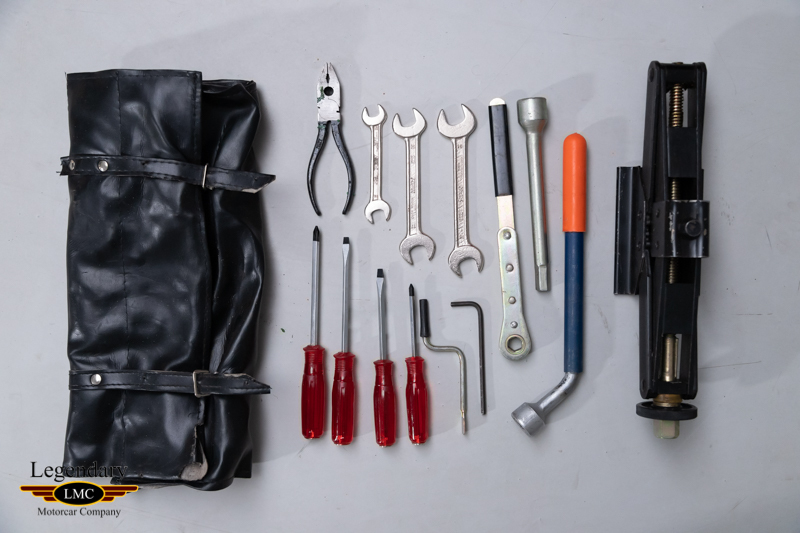 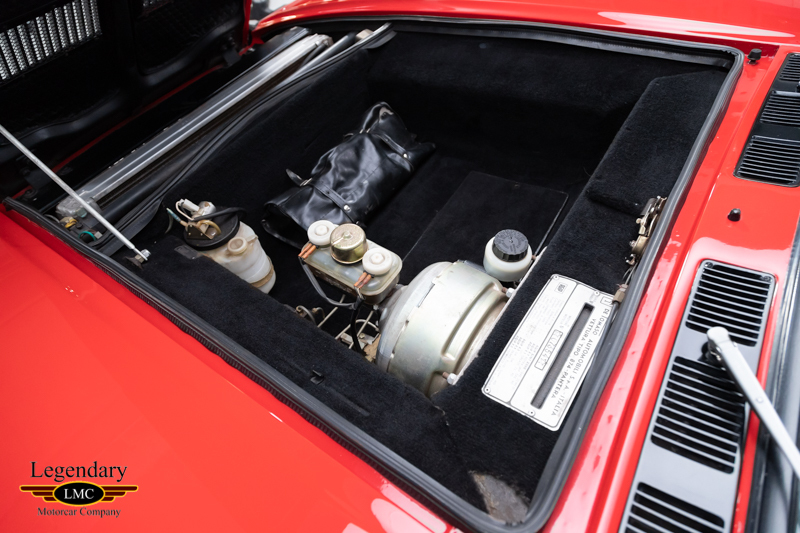 Coupling Ford power and reliability with stunning Italian bodywork, the package was without question an enthusiast’s dream. 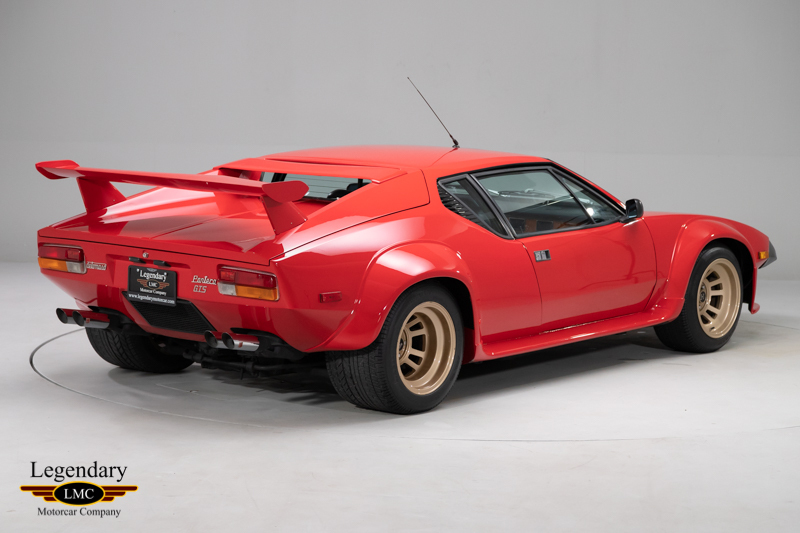 Beautiful to behold and thrilling to drive on public roads, yet equally competitive in motorsport (as well as historic racing today), it is the quintessential Italian–American hybrid. 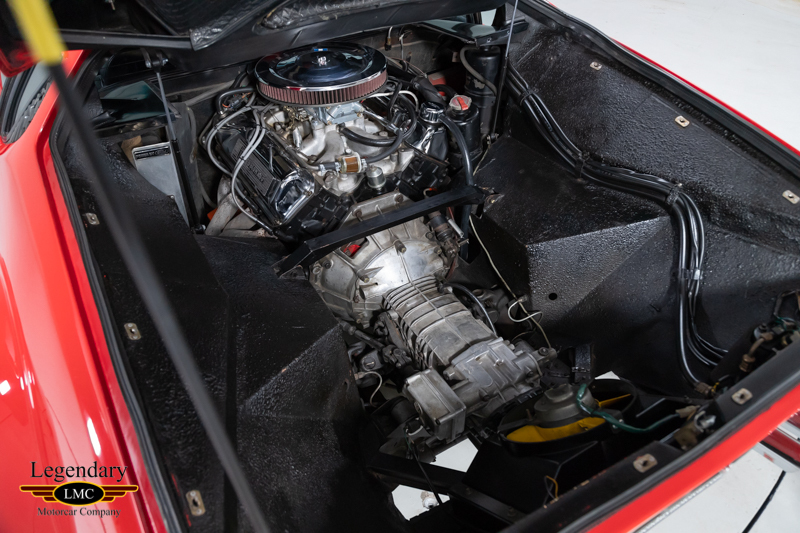 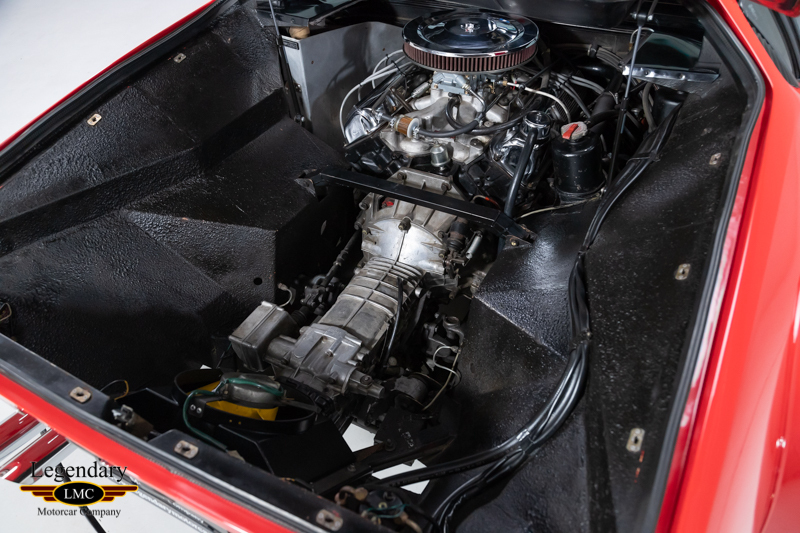 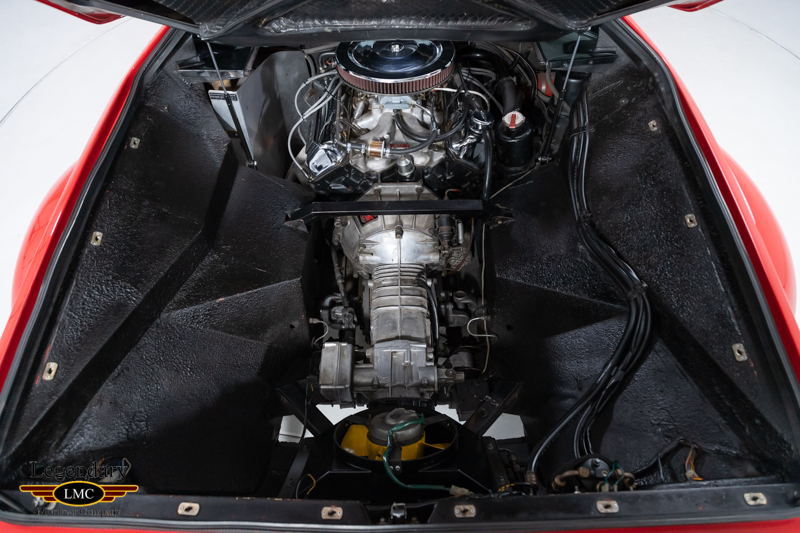 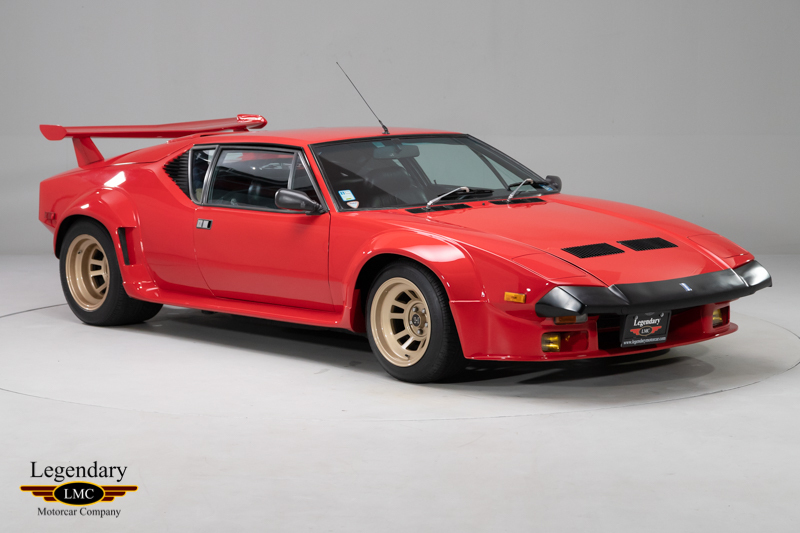 The car debuted in Modena in 1970 and was presented at the New York Motor Show a few weeks after; the first production Panteras were sold about a year later with roughly three cars built per day. 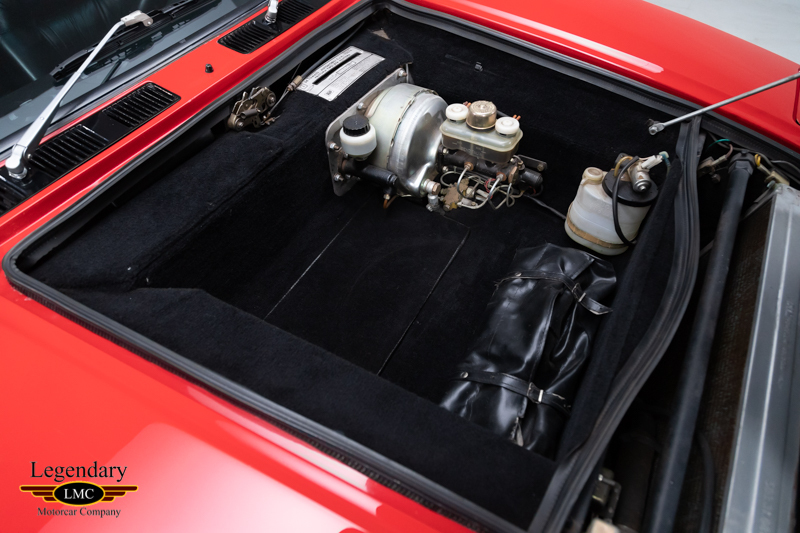 In 1975, Ford ceased interest in importing the Pantera, but production continued on. 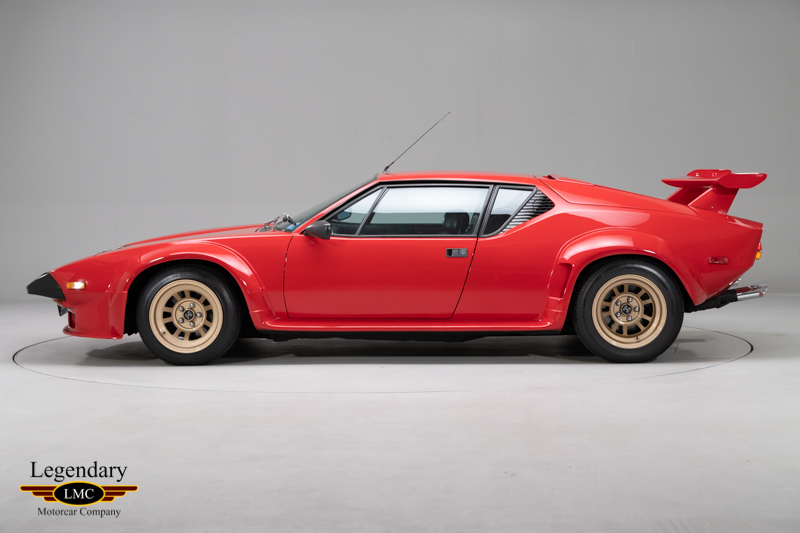 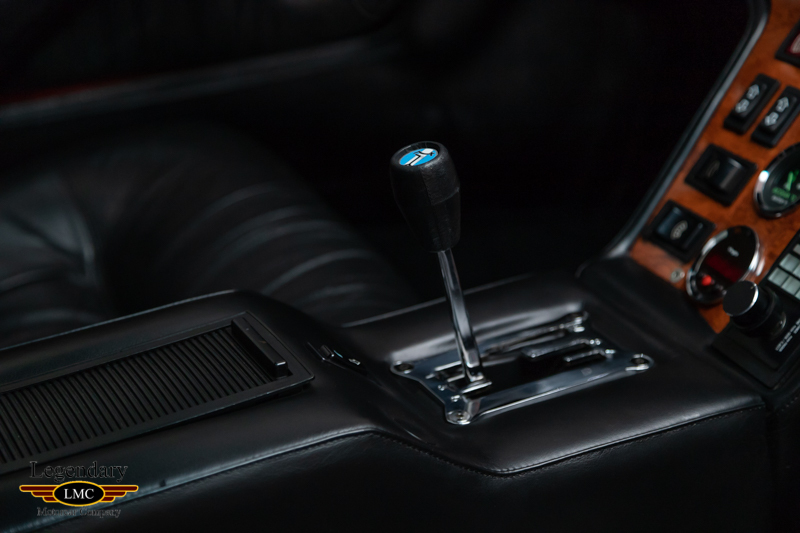 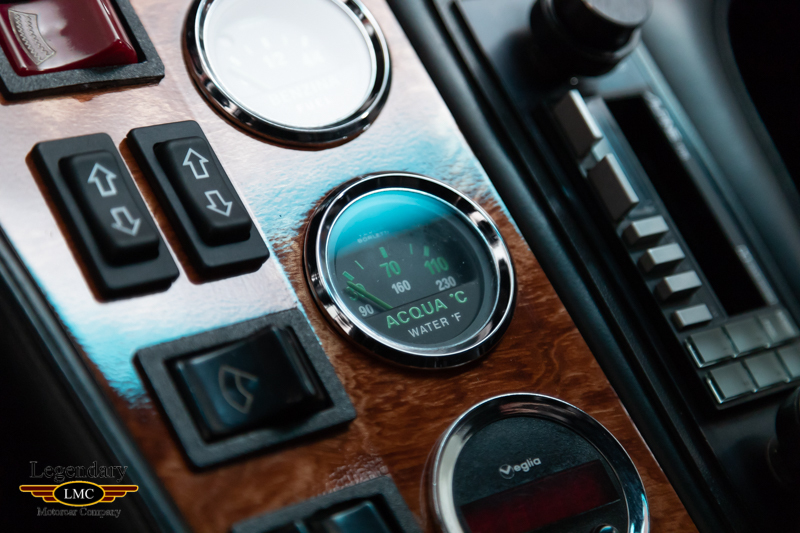 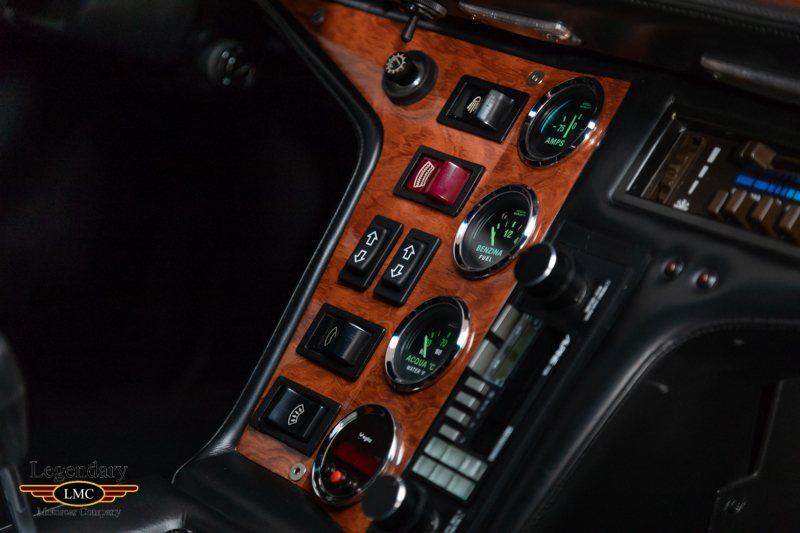 In 1980, DeTomaso introduced the GT5 with a wide-body styling, better brakes, larger wheels and tires, and an overall higher level of comfort, performance and exoticism. 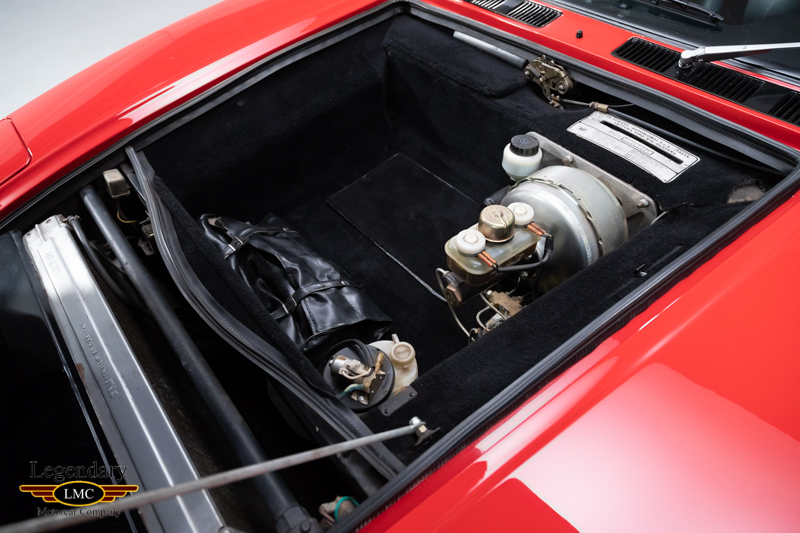 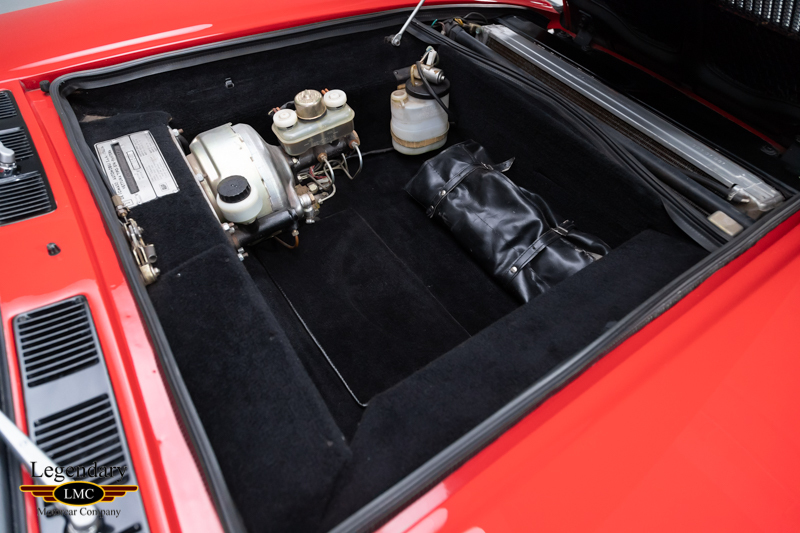 With only 224 original GT5s produced, this particular example was sold new to the original owner B. Zale in Mclean, VA. With only 7146 kilometers since new, this car is powered by the 351 CI V-8 engine and ZF 5-speed manual transmission accompanied by power brakes and rack-and-pinion steering. 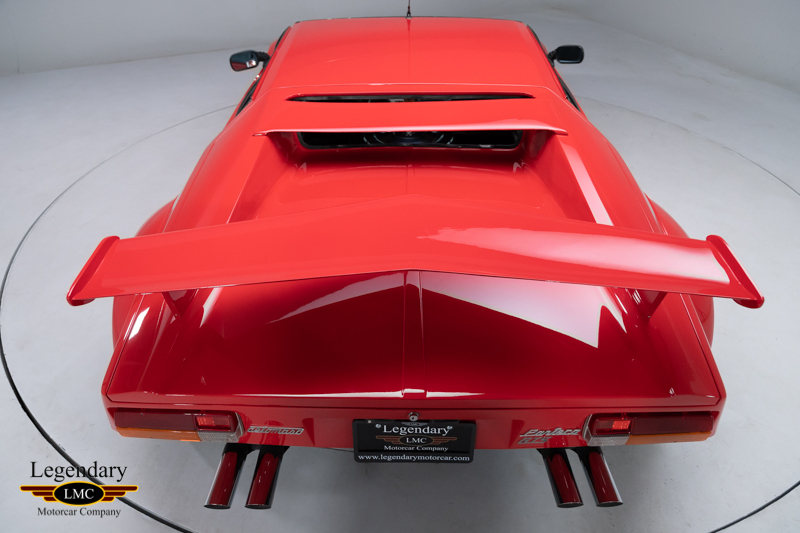 Finished in red, this muscular Pantera looks the business with a fiberglass delta wing and refinished Campagnolo wheels. 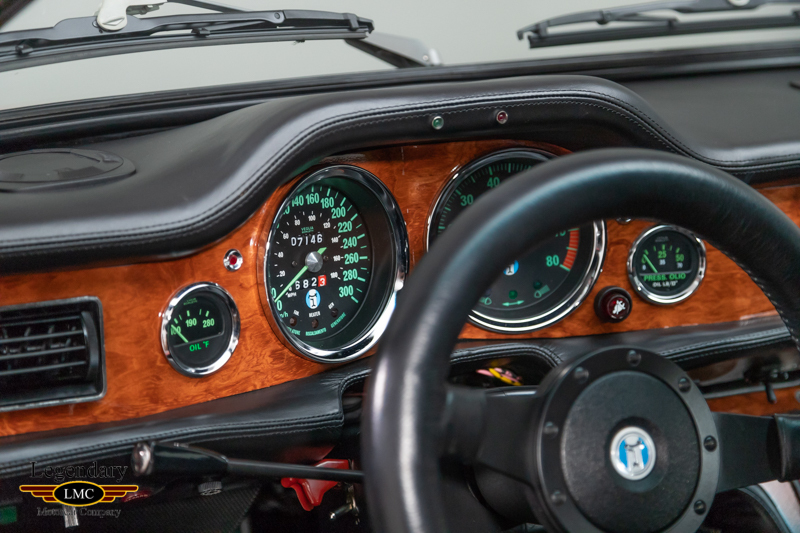 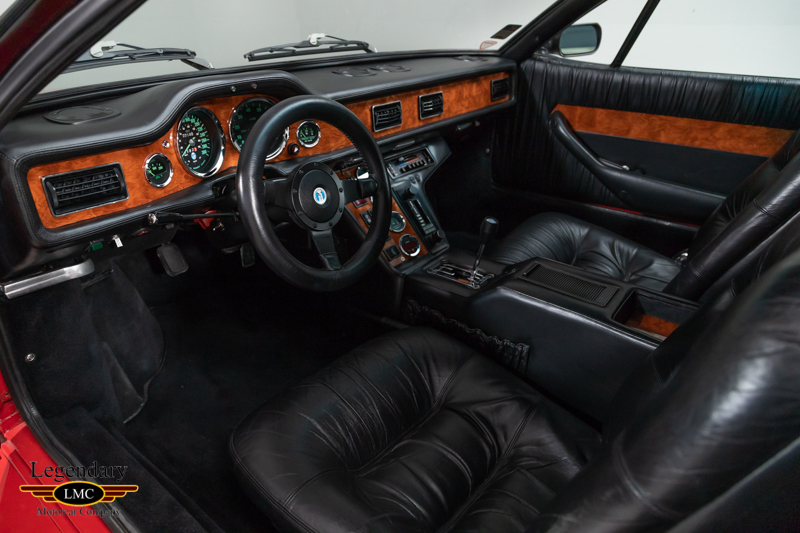 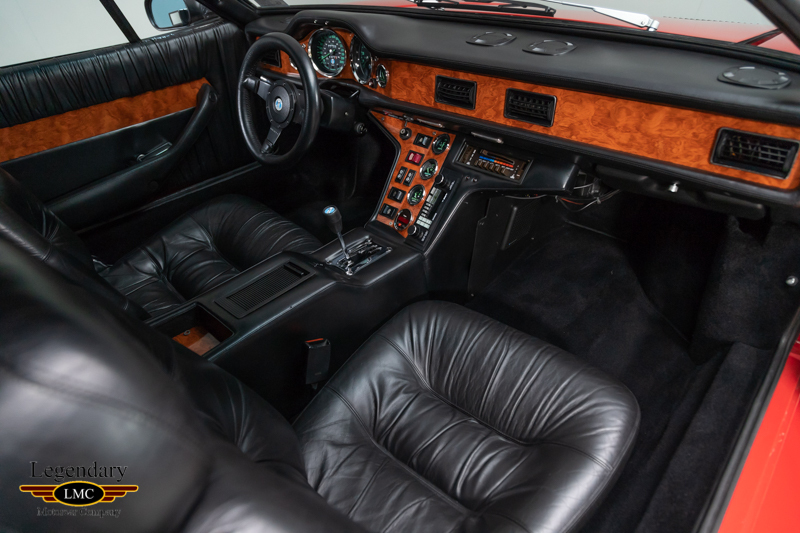 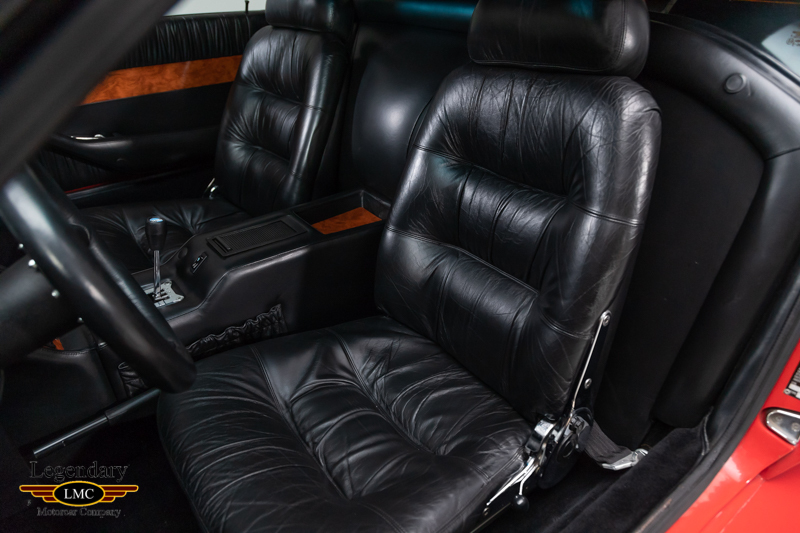 The interior is upholstered in black leather and appointed with burlwood trim, black Veglia gauges with green numerics and thick carpet. Pantera’s have long inspired enthusiastic driving and for good reason, as their mid-engine placement, powerful drivetrain, flat cornering ability and driving position ensure the car will not only go quickly and fast but, do so with a high level of stability and control. 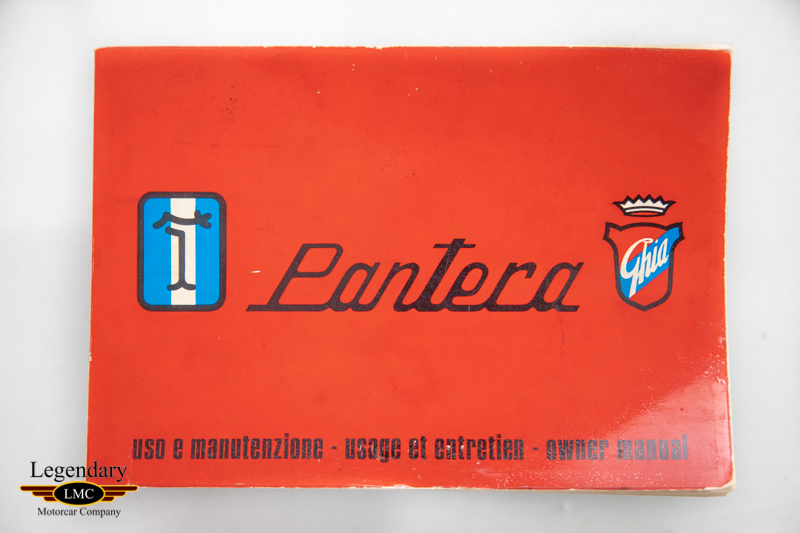 An exotic answer to many sports cars of the era, Pantera brought a unique flavor to the Ford lineup, enticing an upscale, young, wealthier clientele to Ford showrooms. 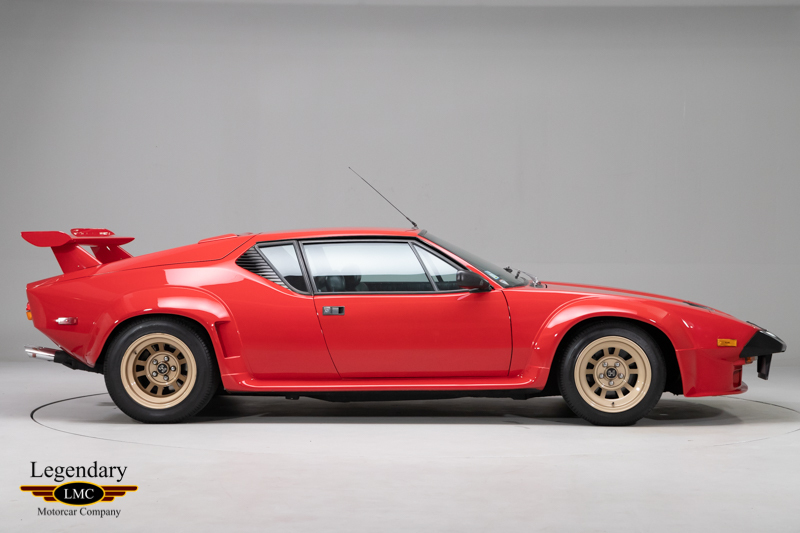 This impressive and important Pantera comes fully documented with known ownership history, De Tomaso order form and registration paperwork. 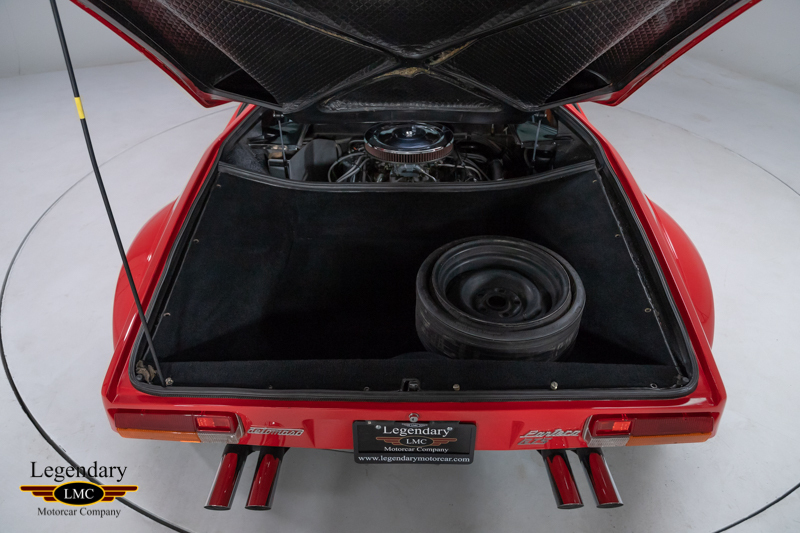 Rare and extremely unique, the opportunity to acquire a Pantera GT5 is a treasure. 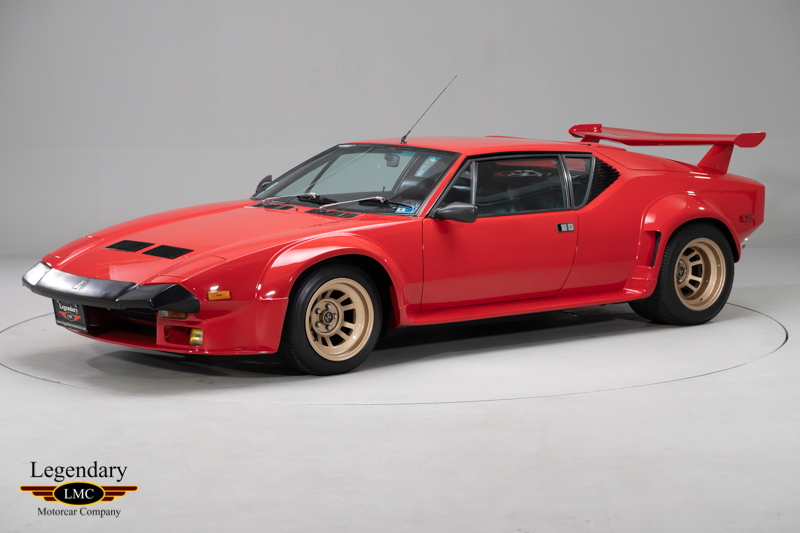 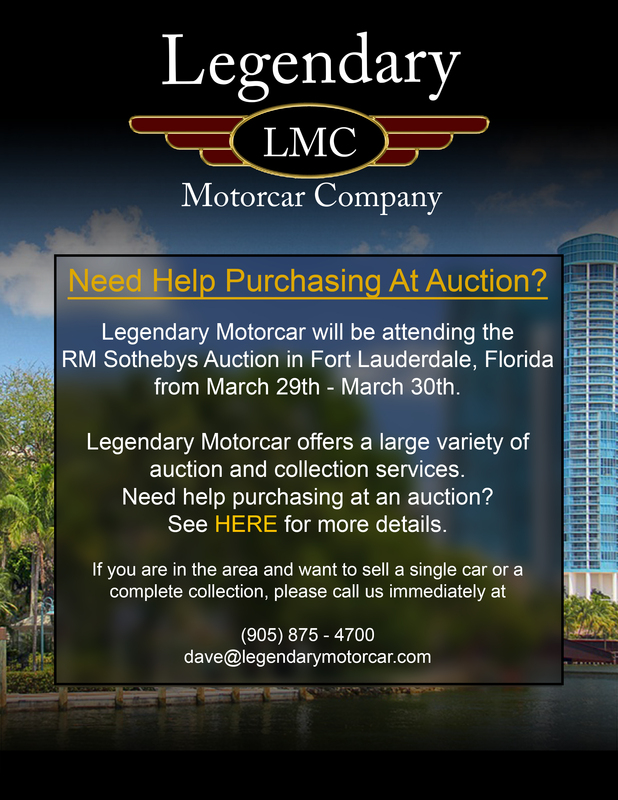 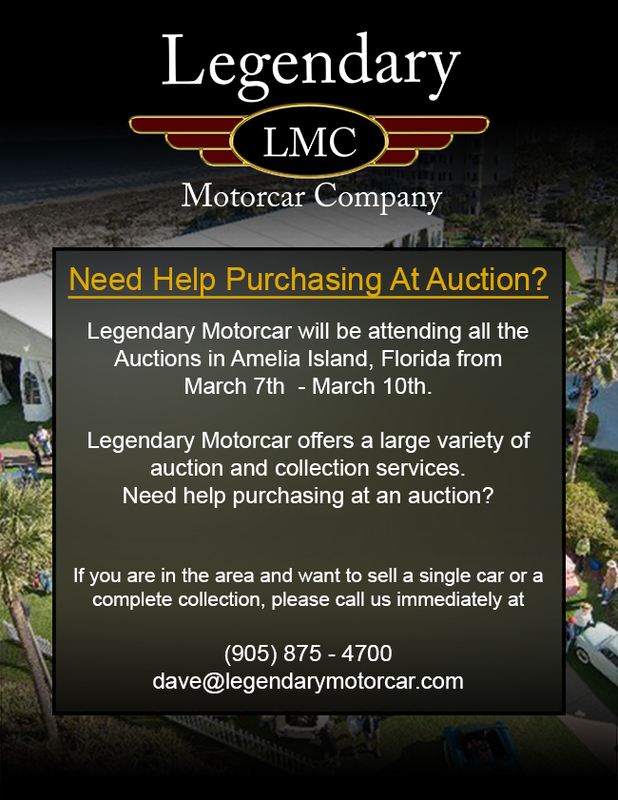 Legendary-Motorcar-Company-Ltd-2018-234 De Tomaso 1985 De Tomaso Pantera GT5 2018-234 0 Legendary Motorcar Company Ltd.